Emmanuel!! My name is Elenah Kamande. After completing my course work in 2015, I was viable to do my Research and Analysis Project (RAP). I did and submitted it but I failed. The feedback was very heart breaking. However, I did not give up. At this time, my mom had introduced me to Emmanuel TV and I had started watching it. During the time of writing my project, I would pray with Prophet TB Joshua as he prayed for viewers and would then continue doing my RAP.I then resubmitted it in 2016 and when the results were out, even though I failed, I had fulfilled most of the requirements and I was to redo just a section. I now felt encouraged to continue praying with the Man of God and work hard. In 2017, I approached one of the supervisors to redo the section I had failed and he asked me to pay $300. I did not have the kind of money and I remembered that last year, I had no supervisor to assist me in doing the research but God helped me pass. I therefore decided to redo the section by myself. Being the third time I was submitting my project, it was also the final time. If I failed this time round, then I would have to start another course. I was listening to TB Joshua’s message on 50% of the work is done when we believe and God will do the rest. With this in mind, I chose to believe and submitted my project. That was in May, and behold, my God did it for me! 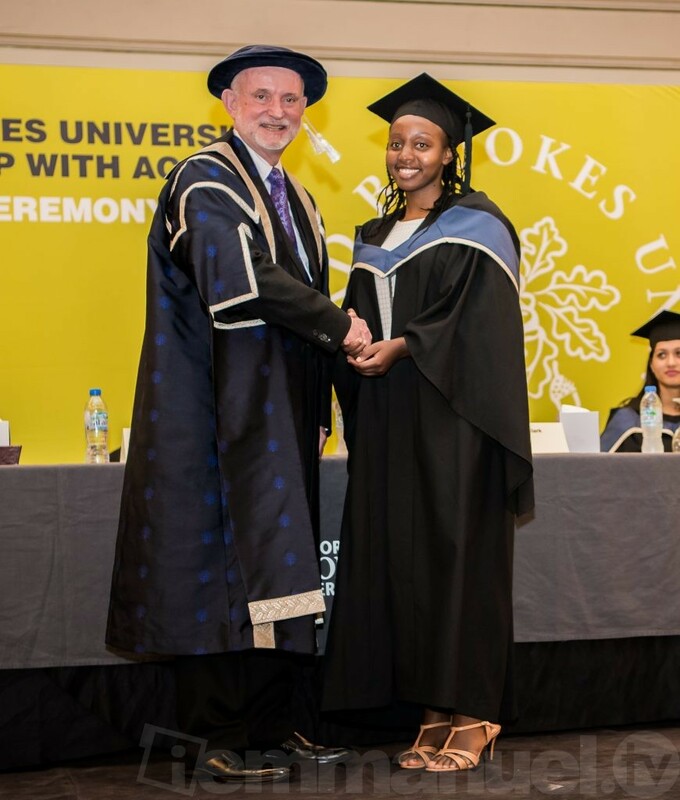 In September, I woke up early to log in to my student portal and behold, I had passed with a Second Class Upper degree from the Oxford Brookes University. 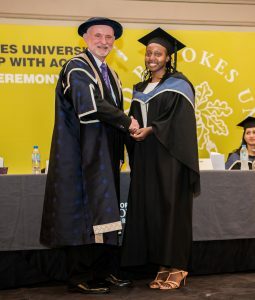 The graduation was to be held in Dubai as that is where my University had invited me. However, a week to the ceremony, I learnt that our visa application had been rejected. The visa application was appealed by VFS global and during this time, I prayed with TB Joshua on YouTube. It was now on Friday and the customer service had told us to purchase air tickets and only then would we receive our visas. We did as were told and we got our visas. We travelled overnight as the graduation was on Saturday and glory be to God, I graduated. Glory be to God. Emmanuel!! !